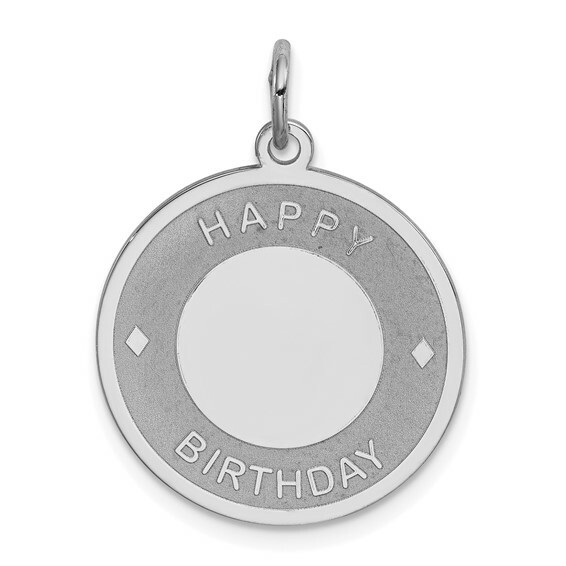 This round sterling silver charm has the words HAPPY BIRTHDAY. Engraving space in the center. Item measures 3/4 inch by 3/4 inch without bail. Weight: 1.37 grams.